Great news for all those of you that wanted to buy a hard copy of the Official Royal Wedding Programme. If you weren't able to make it to Central London for the Royal Wedding on 29th April 2011 then you wouldn't have been able to purchase a copy of the wedding programme until now that is. A limited number of Official Royal Wedding Programmes for the Marriage of H.R.H Prince William of Wales with Miss Catherine (Kate) Middleton, are now available for sale online. 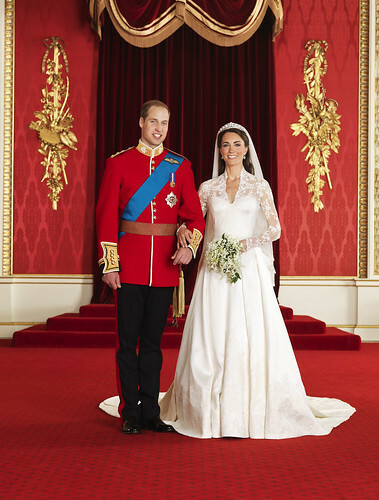 The Programme is 28 pages long and includes a message from the couple, an illustrated map and timetable of the day, the Order of Service, details of the Carriage Procession, information on Westminster Abbey and the Coats of Arms, and a newly released image of the couple taken by Mario Testino. All profits from the sale of the Official Programme will go to the Foundation of Prince William and Prince Harry.